Sugar Beach. Photo by Martyn from the Torontoist Flickr Pool. Toronto’s waterfront is about to get a whole lot sweeter. 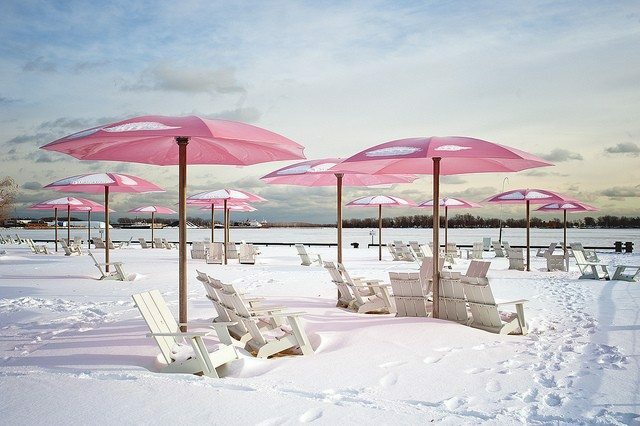 This March Break, an authentic sugar shack will (aptly) set up shop at Sugar Beach, at Jarvis and Queen’s Quay. Sugar shacks, or cabanes à sucre as they’re known in Quebec, are cabins where sap is collected and boiled to make maple syrup. The event, dubbed Sugar Shack TO and presented by Waterfront Toronto, will bring the French-Canadian spring tradition to Toronto. Attractions will include live maple syrup-making demonstrations (and maple taffy samples to taste test), French musical performances, and food trucks serving Quebecois staples, such as tourtière and poutine. There will also be skating on the Sherbourne Common, ice carving, and a singalong with Choir! Choir! Choir!. The sugar shack will open up shop on Mar. 12 for just two days over the weekend, so get your maple fix before it’s gone. For more information about the event, visit Sugar Shack TO’s website.